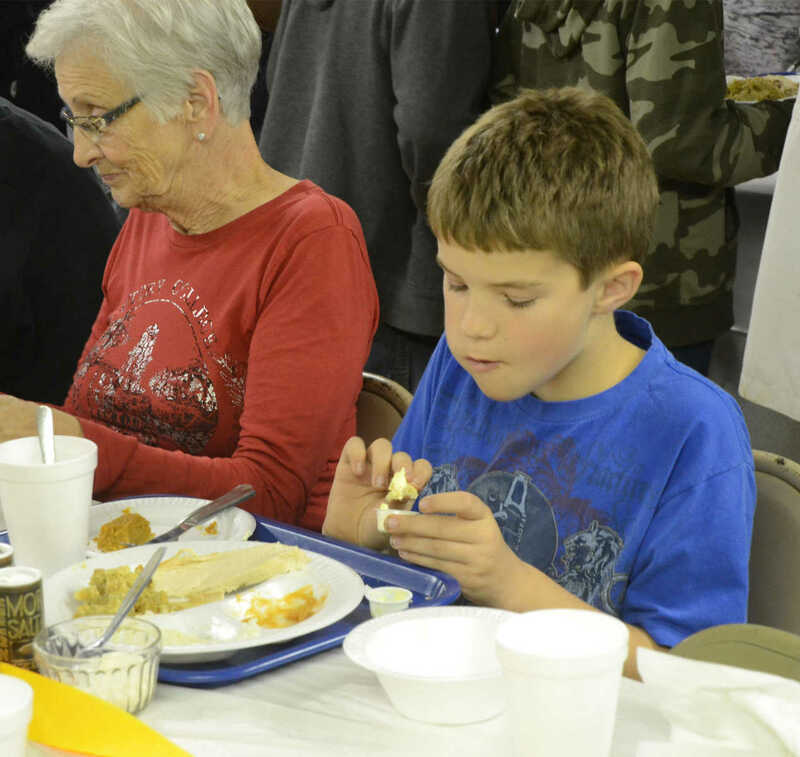 Kenny Bruhn enjoys a roll in the Moundville United Methodist Church at the community Thanksgiving dinner Saturday. 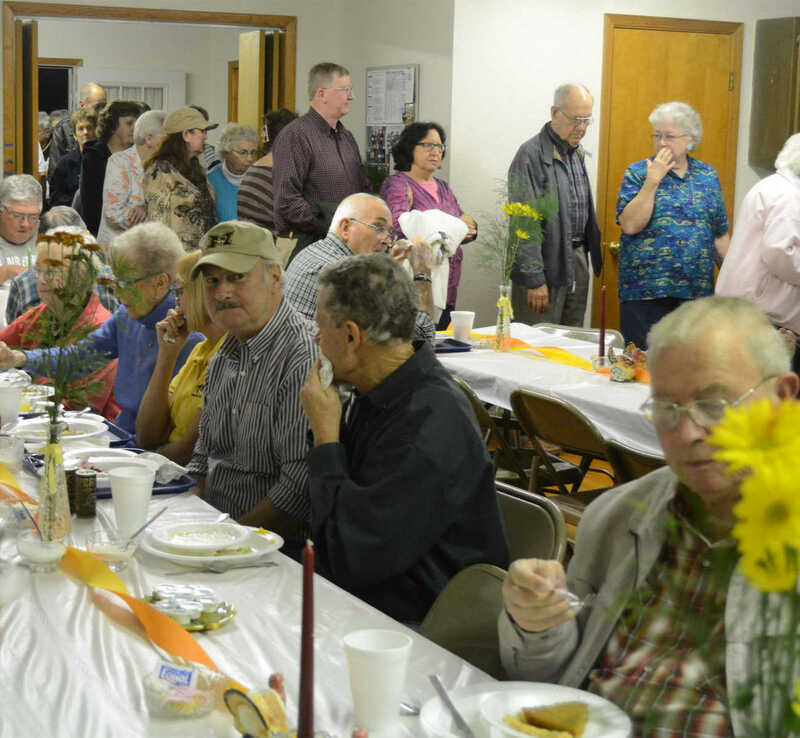 People line up and crowd into the Moundville United Methodist Church for the community Thanksgiving dinner Saturday. 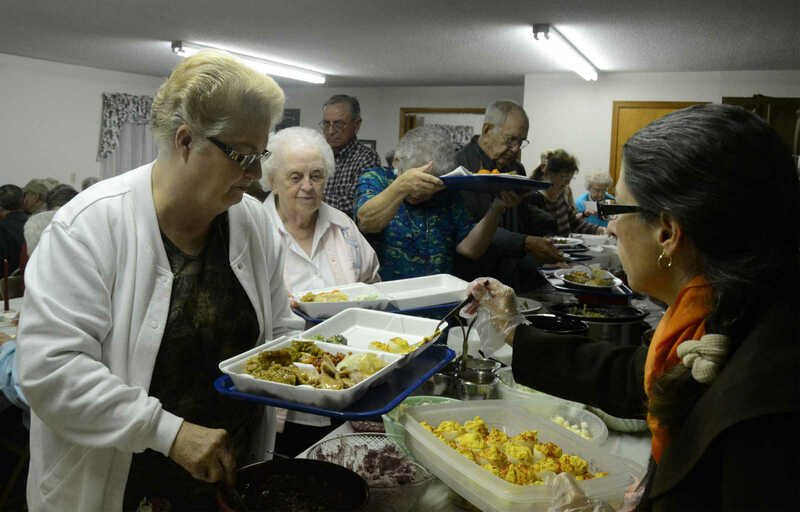 Margaret Haverstic serves Barbara Wilson some deviled eggs in the Moundville United Methodist Church at the community Thanksgiving dinner Saturday. 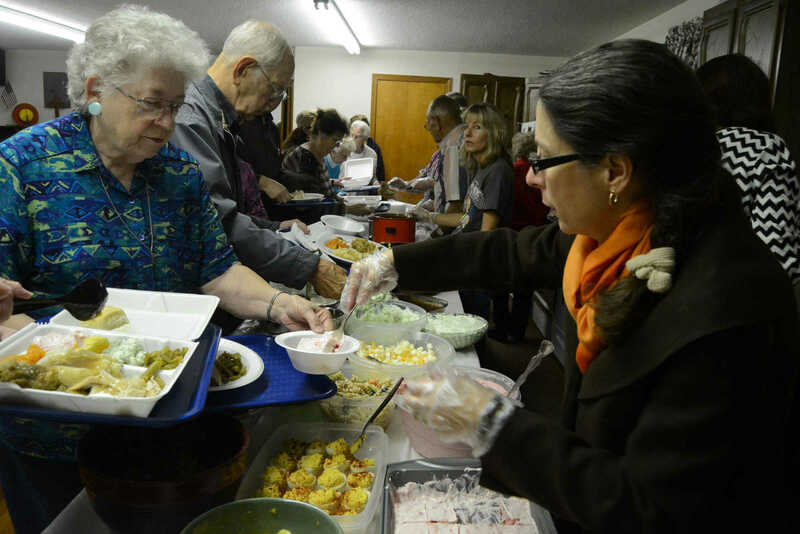 Margaret Haverstic serves Jeanne Board a slice of fruit salad in the Moundville United Methodist Church at the community Thanksgiving dinner Saturday. 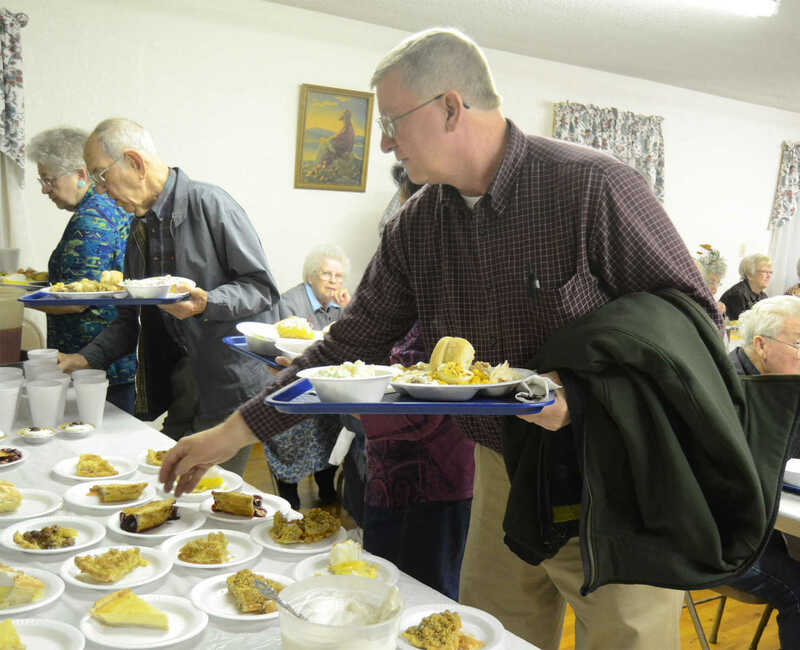 Dave Rorabaugh grabs a slice of pie in the Moundville United Methodist Church at the community Thanksgiving dinner Saturday.